Congratulations to Dan O'Leary and Bob Jackson - winners of the 2019 Mid-Winter Bluegrass Festival Vocal Duet Competition! 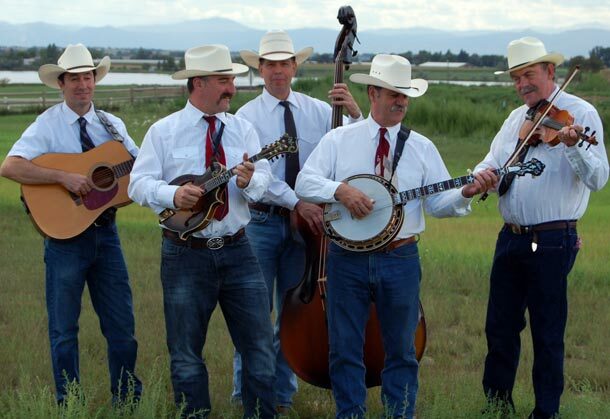 Steeped in tradition, The Stanleytones Bluegrass Band was formed in 1999. The band was named after the Stanley Brothers, Ralph and Carter, who played throughout the 50's until Carter's death in 1966. Sticking to a sound reminiscent of the old days and singing around a single mic, their audience will be treated to original songs and timeless classics. Their passion for bluegrass is evident in their sound – hard drivin' and traditional, the way it was meant to be! Join the Stanleytones mailing list!